You have probably heard the term portable apps, but do you know exactly what they are? 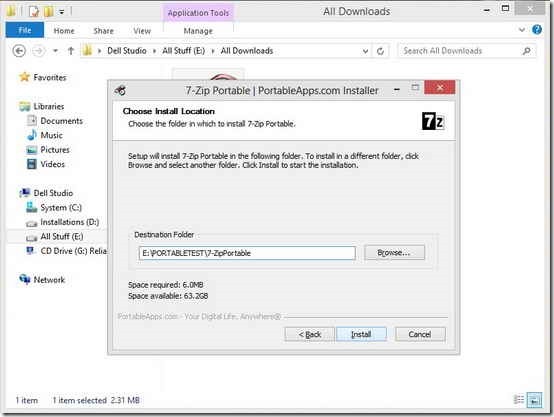 Read on to find out what are portable apps. The field of computer hardware has certainly got to be one of the most rapidly changing one in all of technology. I mean, if we look from the “Specifications” or “Configuration” perspective, we can easily see the manifold developments that have taken place in the recent years. I remember when I got my first Desktop computer. It was a Pentium III machine with a meager 128 MB of RAM that used to run Windows 98. Fast forward to the present day, and we have smartphones that have processors three times as fast and RAM more than an astonishing twenty times than that. And as we all know, even Consumer computers these days come equipped with dual to quad core processors and gigs of RAM, and are more than capable of handling the daily tasks a casual (or at times, even a power) user might throw at them. But you know what, after some time, about 90% of these spanking new machines begin to slow down. And of all the myriad reasons responsible for it (ranging from improper cooling to spilling beverages on the keyboards), perhaps the biggest culprit is the enormous number of applications/software (more often than not, unwanted) that the users install on them, either intentionally or unknowingly. And when all else fails to restore these machines to their factory speeds operation, BAM! !, clean install is your friend. Today, ILFS is going to tell you guys how to save yourselves all that trouble. Trust me, it’s super simple. And I’m sure it’ll surely help you get back at least some of that strength back into your slow machine, if not all of it. Portable Apps: What are these?? Well, basically, portable apps are just like regular apps. Or we could say, they’re just like regular software applications. They are virtually indistinguishable from their normal counterparts, 99 out of 100 times. But there’s one catch. And as you might’ve guessed by now, they are portable. What this essentially means is, that you can install a portable software on any removable media, whether it’s a Flash Drive, Memory Card or an external USB Hard Disk. Hell, you can even install them to your cloud storage. Pretty funky stuff, isn’t it?? When I mentioned that unwanted software installs clog and slow down your computer system with time, I did so because it indeed does that. What happens is, when you install something into your computer system, two basic things happen. 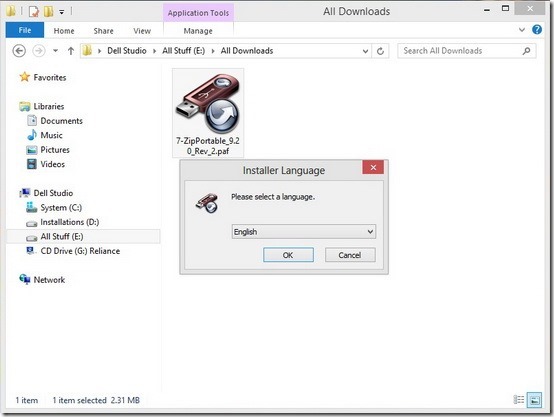 The software copies its application specific files to the chosen install directory. It creates a couple of entries in the system registry, in a way to make the system aware of the presence of the newly installed program. So every time you install a new software into the system, the registry’s size is increased a little. Now, I understand that almost all of us install and uninstall different software on a regular basis. (We do that all the time at ILFS, yeah we’re geeks!!). But when we run the uninstallers, many times the remnants of that software are left in the system. For example, you might uninstall a software from the system, but its registry entries might remain in the system registry. And these keep on accumulating over time and in turn, slow up the system. So how do Portable Apps help solve this problem?? It’s simple. Whenever we install a portable application instead of the normal one, the whole application is self-contained in a single directory. This essentially means that portable apps don’t add any entries whatsoever into the system registry. You can just run the application, do what you want to do and close it. What’s best about them is, even though portable apps are designed to run on removable media, they work just fine on your computer’s Hard Disk. The homepage consists of hundreds of popular applications packaged in a portable format. These can either be downloaded collectively as pre-packaged suites, or individually as per requirement. 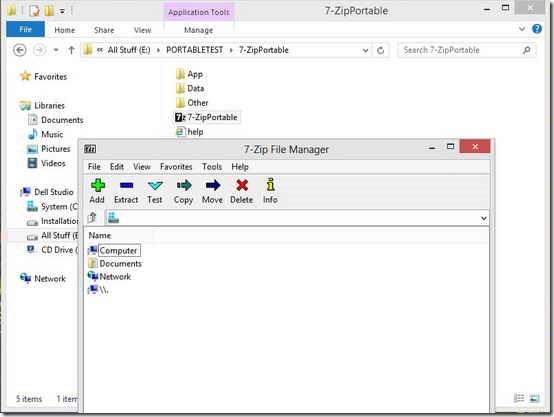 As an example, let’s install a portable version of the popular open source archive manager 7-zip. 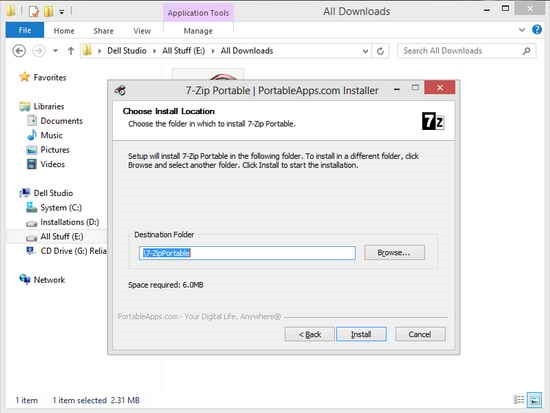 STEP2: Notice that the installer is defaulted at an unavailable default install location. This is because portableapps install to removable media by default, and there’s no usb drive plugged into the system at the time of installation. STEP4: Voila!! 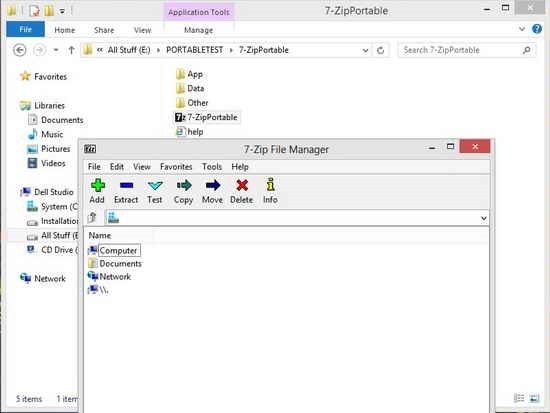 After the installer finishes, we can see 7-zip portable running like a normal application, from the computer’s hard drive. With absolutely no mess in the system registry. 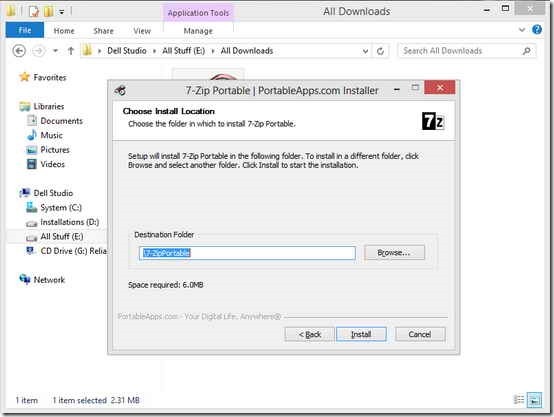 You can copy this installation to as many locations you want, whether they’re portable or not. Even though computers continue to become more powerful both spec-wise and performance wise every day, installing more unwanted applications than required can always clog and slow down, even the fastest of systems. This is where portable applications come to the rescue. Barring a few exclusive software utilities, almost all general applications that an average computer user might require are available as portable applications. And since they can be installed on non removable media too, it’s only prudent to do so and save yourself the troubles of a crippled system. Although not completely, this can go a long way in speeding up the general performance of the average Consumer PCs. What do you guys think of the portable apps? Do you already use them? And if yes, do you use them just on the Removable media, or on the HDDs too? Do let me know in the comments below.